Three layered woollen cloak with luxurious lining and a large hood designed to be wind and rain resistant while flowing majestically in those conditions. These layers along with the built in scarf function to keep you warm too. The arm holes in the side allows you to still perform tasks with your hands without exposing yourself to the elements. These robes are all-purpose and versatile it is perfect for adding layers to any characters costume. The shoulder overhang adds depth to the piece, making it look like more than just a single item. You can use the three metal clasps to wear the robe buckled up or leave them undone, either way looking the part. This full length robe with an open front is great as an over-garment atop your characters costume. 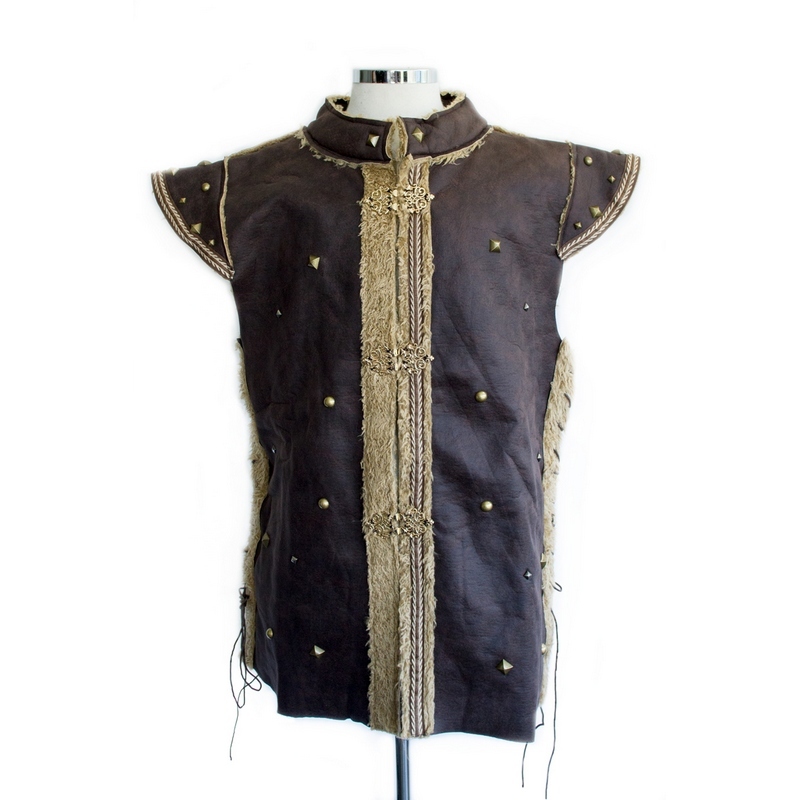 Designed with larger arm holes allowing for a larger range of movement and for wearing over armour. Featuring an array of multicoloured trims across the black, shoulder and sleeves, this item adds a dynamic look anyway its worn. The woollen mixture material will keep you warm throughout your adventure, while being easy to remove when needed. A warm, wind- and water-resistant wool-mix cloak with pointed hood. Thanks to its ingenious arrangement of buttons and panels, this cloak can be worn in more than five different ways. Suitable for almost any character or system and extremely versatile. 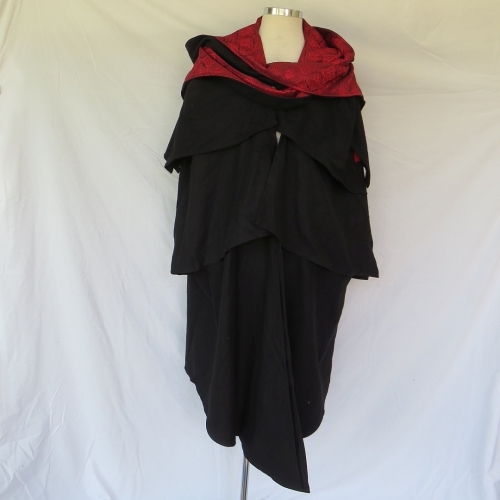 A long, warm hooded cloak, excellent for cold weather. 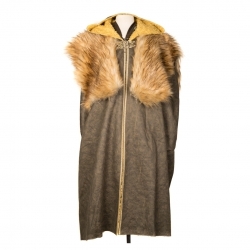 This cloak is weather-resistant and has a soft fleecy lining. It features a handsome, broad fur collar, coordinating trim and a clasp fastening. Vegetarian leather, faux fur, fabric trim. Faux leather, faux fur, fabric trim.